This week's Top Ten Tuesday topic is the Books On My Fall 2018 TBR. As I do every time I make one of these lists, it comes with a disclaimer. This is merely a list of books I would like to read this fall, but make no promises that I will. It's a rare season I actually do accomplish an entire list, given my penchant for falling into other books so easily--books not on the list. I do love making these lists though, so here goes . 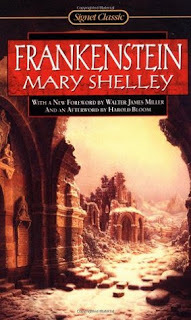 . .
Frankenstein by Mary Wollstonecraft Shelley ~ This classic horror novel of a scientist and his attempt at creating and better understanding life has long been on my TBR shelf, and this year may be the year I read it! Hopefully. 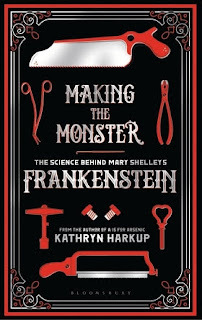 Making the Monster: The Science Behind Mary Shelley's Frankenstein by Kathryn Harkup ~ A look into Mary Shelley's life, and what was going on in the time she came up with the idea for Frankenstein, including the science trends of the time. I wish I could remember who it was who recommended this would be a good companion read to Frankenstein. It sure sounds like it, doesn't it? 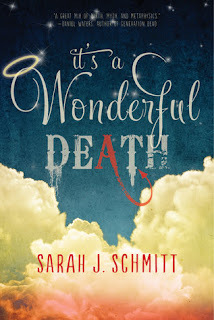 It's a Wonderful Death by Sarah J. Schmitt ~ The grim reaper collected 17 year old RJ's soul a bit too early, and now she must replay three moments in her life and make choices that will win her back her soul. This one promises to be a bit quirky and funny. 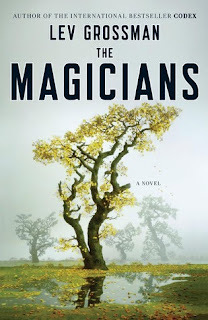 The Magicians by Lev Grossman ~ A young man is accepted into an unusual college, one of magic. I really want to watch the TV show, but will not let myself until I read the book. Most people I know loved it. 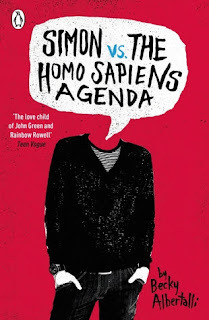 Simon vs. the Homo Sapiens Agenda by Becky Albertalli ~ A coming of age story about a gay teenager. That's an understatement, isn't it? I have heard nothing but great things about Albertalli's novel and have wanted to read it for some time now. Plus, there's the movie. I can't see the movie until I read the book. 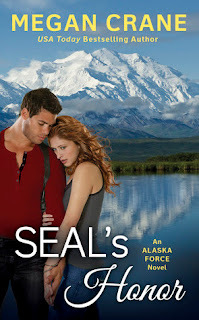 Seal's Honor by Megan Crane ~ The murder of her roommate has Everly seeking help from her brother's old friend, an ex-army SEAL living in Alaska. Romance and suspense all wrapped up in one book. A nice escape that hopefully will make me swoon and keep me on the edge of my seat. When Winter Comes by V.A. 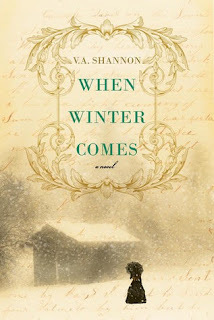 Shannon ~ Memories of the Donner Party's attempt to cross the Sierra Mountains in 1846 have long haunted her, but it is a secret she felt she must keep to protect her own past. Many of my summers were spent in Donner Pass, not too far from where the Donner Party fought for their survival. It's a time period in history that I have always felt connected to as a result. 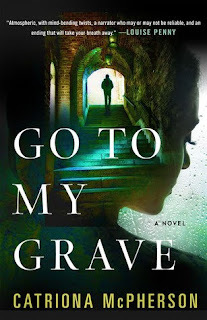 Go to My Grave by Catriona McPherson ~ The opening of a bed and breakfast, something seems to familiar to the guests, and a broken vow leading to a deadly game. This sounds like it will keep me up all night. I do enjoy McPherson's writing. 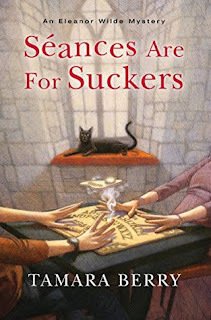 Séances Are for Suckers (An Eleanor Wilde Mystery #1) by Tamara Berry ~ Ellie Wilde is a ghost hunter who doesn't believe in ghosts. I like Ellie already. The Witch of Willow Hall by Hester Fox ~ A family forced out of town because of scandal in 1821 and take up residence at Willow Hall, with all its dark secrets. I do love a good Gothic novel. Have you read any of these? What books are on your fall TBR pile? I watched the first season of The Magicians but haven't read the book yet. From what I saw of the show I bet the book is quite good! Greg - I am hoping I will like the books. I only saw the first episode, and enjoyed it. Thank you for visiting! Absolutely LOVE Simon vs.! Hope you will too! It's one of those rare cases where I love the movie equally as much - although there are some differences I immediately spotted, haha. Kathy - I am looking forward to the book and movie. :-) Thanks for visiting! Sim - I need to, don't I? I think I will like it too. Thanks for stopping by! Both the TV and novel versions of The Magicians are amazing. I hope you love them. I quit making lists like this because I rarely got any of the books read. I did read The Magicians a few years ago and it was over my head. Kathy - Haha! I should probably lay off making lists, but I enjoy doing so too much. :-) Thank you for visiting! I laughed and said - yes, we make lists and then we make other lists. We're like that picture of the dog who is concentrating and then yells - squirrel! And again! I'm looking forward to reading the McPherson book too. Sounds just about perfect for me. Kay - Yes! That is the perfect description of what we do! LOL I am going to think of squirrels every time I stray now. Thanks for stopping by! Oh, Simon Vs. is so good - as is the movie! 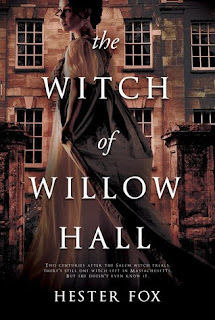 I'm ready for some reviews to show up for The Witch of Willow Hall because it sounds intriguing. Lauren - I can't wait to read Simon and see the movie. I am sure to enjoy both! I hope The Witch of Willow Hall will be as good as it sounds! Thank you for visiting! The Magicians!!! I can't wait to start these. My husband and I just finished binge watching the first two seasons of the show on Netflix and enjoyed them so much that I bought the trilogy. I'm hoping to read it next month. Hope you enjoy all these! Lillian - I hope you love the trilogy! I have the first two books ready to go. I can't wait to see the show! Hopefully I can get to them soon. Thanks for visiting! Maybe I should try watching the television version of The Magicians. I tried the novel when it first came out and abandoned it. I'm excited about the new Catriona McPherson novel as I've enjoyed everything I've read by her. It's a Wonderful Death sounds like it might be fun. Jenclair - If you do try the TV version, I hope you like it better. I hope we both enjoy the Catriona McPherson novel! I am hoping It's a Wonderful Death will be fun and not too cute. We shall see. Thank you for stopping by! I loved SIMON VS THE HOMO SAPIENS AGENDA. It has such an authentic voice. Anne - I cannot wait to read it. Hopefully very soon. My TBR pile is embarrassingly high. And I keep bringing in books. I'm good for the rest of my life. LOL Thanks for visiting! Louise - I have been saying I will read it for years now. This is the year! I am glad to hear it is one of your favorites. Thank you for stopping by! Lark - I think so too! I am looking forward to When Winter Comes. I love Dracula! I have heard the monster in Frankenstein is more sympathetic than the doctor. :-) Thanks for visiting! I make lists of books that I want to read all the time and then never follow the lists :) Seal's Honor is one that I hope to fit into my reading schedule as well. Carole - We can't help ourselves, can we? I am glad to hear Seal's Honor is on your TBR pile too! I hope we both love it. Thank you for stopping by! Making the Monster is a good read. It doesn't read like fiction but it does a good job of providing context. Go to My Grave and Seances Are For Suckers are on my TBR. They look so good! Katherine - It must have been you I first heard about Making the Monster. Thank you! Thank you too for visiting! Simon is such a cute read. I hope you enjoy that one. I'd like to read The Magicians at some point too. Suzanne - I hope I will too! Thanks for visiting! I’m so bad at sticking to TBRs. I think I’ve failed at every one I’ve made this year. I loved Simon Vs. I hope you enjoy all these! AJ - I am pretty sure I have failed at all of mine too. I try not to think of it that way though--as a failure, I mean. These lists are just guides we can pick and choose from. :-) Thank you for stopping by!